We’re here to help you shine! Practitioners of RSM, known as Rubenfeld Synergists, address a wide variety of physical, emotional, mental, and spiritual ailments by listening to the wisdom of the body. The client is an active participant on their healing journey towards living the life that they want and deserve. Joan has devoted her life to helping others heal from the wounds and trauma of life. At the end of a day-long workshop with Ilana in 1997, Joan knew that not only would this be the work she’d do for the rest of her life, she also knew in her bones that she would one day teach this work to others. 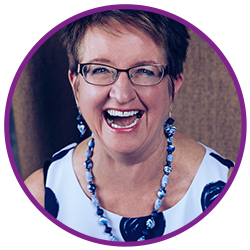 At that time, Joan committed to do whatever it takes to be the best Synergist she could be… and she has. After completing a 4-year certification training, she quickly became a Teaching Intern, and then Faculty. She has continued to hone and deepen her skills as both Synergist and teacher. Joan has devoted her life to helping others heal from the wounds and trauma of life. Today, in her private practice, she primarily helps women who have experienced sexual trauma heal so they can step into their full power and take their rightful place in the world. 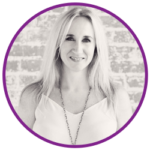 Understanding the importance of being seen and known as an expert, Joan has extensively studied and trained in how to build a thriving practice. She is delighted to be able to share her knowledge and experience with those in the training program. Joan knows this proven and powerful healing modality of Rubenfeld Synergy is needed in the world, now more than ever! Rubenfeld Synergy Method is the most effective method for overall and optimal healing. 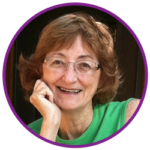 Barbara Conway, Certified Rubenfeld Synergist, believes that the Rubenfeld Synergy Method is the most effective method for overall and optimal healing. Personal experience and years of working with clients, supports her philosophy that this work is proven, effective, and complete. 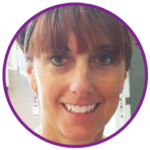 Barbara loves to help others understand that their emotions, mind, and spirit work together through the wisdom of the body, which then allows them to experience a happier and healthier existence! She believes that life and its transitions can be easeful and that every person is unique and deserves to be heard. She has a full time practice in Knoxville, Tennessee, and is honored to be a part of the training program. Mary has witnessed the transformations in herself and is dedicated to helping teach this method. Mary Petschen has a thriving practice in Wayzata, Minnesota. She has been a practicing Synergist for 5 years and loves working with individual clients and groups. She has witnessed the transformations in herself and her clients and is dedicated to helping teach this method so that more people learn the language of the body and can bring it to the masses. Rita's clients quickly find release of emotions that have been keeping them locked in fear. Hi. I’m Rita, Certified Rubenfeld Synergist. I’m 68 years old (young) and live in our nation’s capital, but have my roots in Iowa farm country. I have maintained a continuous practice in Rubenfeld Synergy since becoming certified in 2002. My clients quickly find release of emotions that have been keeping them locked in fear, regret, anger, low self-esteem and other debilitating feelings. Because it is so effective in unleashing the beauty and strength of each person, I am bursting with love of and commitment to this work and I want to see it continue and thrive. I am honored to accompany new Rubenfeld Trainees in exploring its wonders. I think I can help you approach each individual with compassion and a sense of the sacredness of the person. And I look forward to what you will teach me as well.